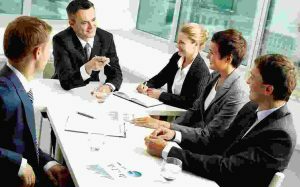 Corporate secretarial services have been and will remain one of the most important functions in any organization, be it a large corporate company or a family-owned small-scale business. The job entails smooth running of the company with regards to its administration, which involves maintaining records of board meetings, maintaining statutory books, registration of the directors or company secretaries, maintaining accounts and annual reports and taking care of the filing. If you don’t use it right, it can turn out to be expensive, but you will save in the long run. 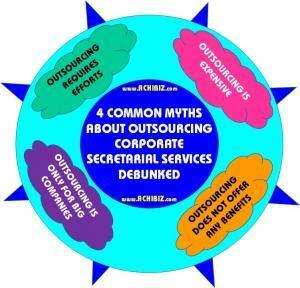 Outsourcing is typically done from developing countries where salaries are much lower. So, by paying a much lower amount, you get services, which are highly efficient. Small-scale companies need to invest a lot of time into the core business. If such businesses outsource the company secretarial tasks, they will have time to go out and market their products and services with the peace of mind that the other jobs are being taken care of efficiently. Your effort is in getting the right organization to take care of the business activities and training them on the various aspects and policies. Once this is done, the outsourcing firm takes over the duties effectively. Their dedicated teams ensure that all the duties are efficiently taken care of. The myths related to outsourcing, specifically for corporate secretarial services, are depriving many organizations of the benefits they can avail. There are many aspects of corporate secretarial profile that are taken care of by these organizations such as incorporation of all kinds of entities, arranging AGMs, share-related activities, preparation of statutory documents, and even answering your phone.